Just in time for the holidays (and due to more fan mail), we decided to bring back the Love Hina Christmas AMV Danielle made a few years back. The song used is Maria Carey's version of "All I want For Christmas." Remember all amvs are fan made free advertisements for both the music artists and the anime. So please support both by shopping for them where music, anime and videos are sold. Click here to view it if it is not visible below. 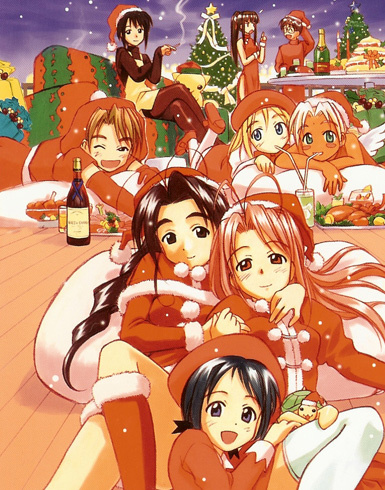 Happy holidays from Chuck's Anime Shrine.